Proven aero performance, sharp yet stable handling, and one of the lightest frames in its category. Propel Advanced delivers in all areas, and this new version also features an updated rim brake system to give it better control. 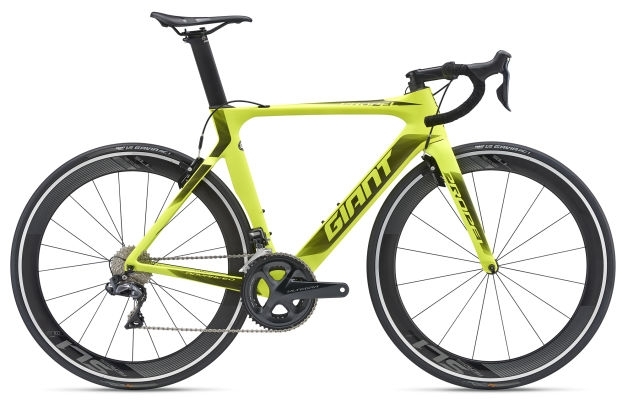 The frameset is re-engineered with Giant’s AeroSystem Shaping technology, which means that every tube shape and angle is optimized for minimal drag and the Advanced-grade composite frame is both stiff and superlight. For pro-level road performance and the ultimate aero advantage, the Propel Advanced gives you the perfect one-two finish line punch.